There are 12 Safeways in San Francisco, which's enough to make it not super-easy to explain which one you're going to "accidentally" pick up a six-pack of Apricot Ales at. 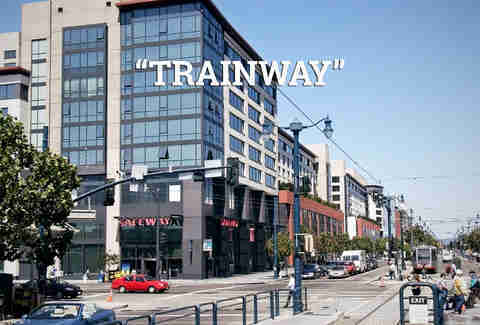 Thankfully, SFers have made things way easier by giving several, kinda-inflammatory nicknames to a bunch of SF's Safeways. Here's your guide to which is which, so you can sound like a cool person in-the-know... or, just ignore them, because that's cool, too. Basically the real-life version of the Piggly Wiggly (anyone else watch That '70s Show? Just us? 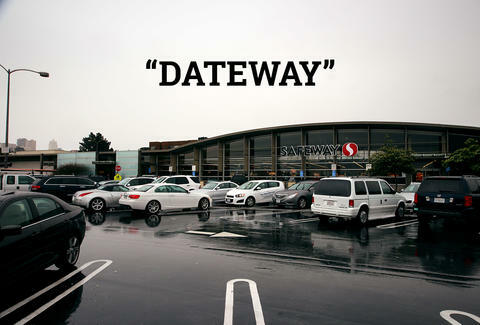 ), the Marina Safeway is a bastion for attractive singles, who get slightly less (more??) attractive when you realize it's Friday and their cart contains a magnum of wine and a pre-made sub. Remember, we didn't make this nickname up -- and frankly, it's not super accurate/pretty messed up anyway (could being two blocks over from Japantown really be that terrifying?) 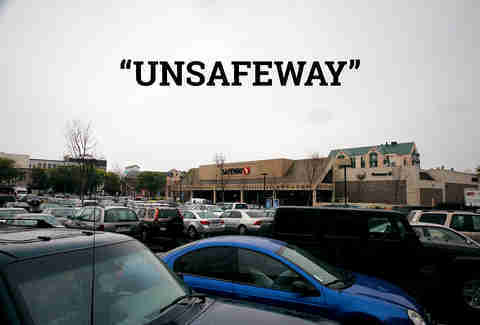 -- but it's a nickname regardless, so when someone says it, don't go to that one Safeway that refuses to sell condoms. This one sorta offensively refers to the Safeway nestled at the point where Upper Market, The Mission, and Duboce Triangle intersect with the traditionally gay Castro, and they're always out of kale. No, seriously, stock more kale, please. Does anyone actually use this nickname? Possibly. Did we just make this one up because three nicknames didn't seem like enough for a story? Also possible. Whatever the history behind this one is, though, it seems pretty damn fitting considering it's, um, right across the street from the Caltrain. Pro tip: it's also your last chance to pick up totally legal-to-drink-on-the-train-until-9pm beer (!!) before boarding. Joe Starkey is Thrillist's San Francisco Editor, and would really appreciate it if Safegay weren't always out of Sriracha, too. Follow him on Twitter.